Coming clean with your doctor is more important than you might realize. The proposition of talking to your doctor about cannabis may feel daunting. For some people this discussion is completely out of the question, an exercise in embarrassment at best and a risky proposition at worst. As you review the pros and the cons in your head, it is all too easy to rationalize that revealing cannabis consumption to your provider could end in you being labeled a drug abuser, being lectured to about the dangers of marijuana and its alleged addictive potential, or being fired from the medical practice altogether. But despite the overwhelming temptation to keep yourself firmly grounded in the proverbial closet, there remains a strong case for sharing your secret with the doctor(s) overseeing your care. Being transparent with your doctor about your habits and lifestyle choices is vitally important. In most cases, this is as important as discussing your symptoms as well as any other medical conditions that you have. Your habits and choices often play major roles in contributing to, exacerbating, and even reversing disease. Confiding in your doctor about your cannabis use is no different. Even if your doctor doesn’t agree, he or she should always be aware of personal practices that impact your health or might interact with the therapies they provide you. When you don’t disclose information such as cannabis use, you might inadvertently place yourself at an increased risk for medical errors or misdiagnoses. Many doctors are actually quite curious about medical cannabis. In some cases the method of your cannabis use may be a cause for concern (gasp! The blasphemy! - I know, but hear this out). You might be surprised to find out that many patients don’t realize their cannabis consumption method is a part of a problem, such as joint smoking contributing to a chronic cough or edible use exacerbating ongoing gut problems. In such cases, both the simple connection made by your doctor and the simple adjustment of choosing a new medicating method may clear the problem right up. 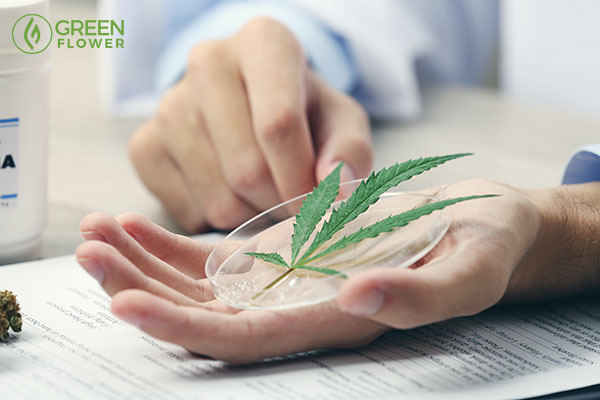 While it may be a scary topic to broach, being transparent about your cannabis use with any doctor puts you in the best position to optimize all aspects of your care. It can be advantageous to use scientific, medical lingo when you talk “medicating” with your doctor as opposed to using pejorative terms like “marijuana,” which is rooted in prohibition’s racially-charged past. This suggests to your doctor that you are both savvy and respectful with regards to your medicine. This might also encourage them, ever so cooly, to modify their own perspective on “marijuana” and see it for the scientifically acclaimed medicine that it is. Next, tell them what you use, how you use it, and in what ways it benefits you (such as relieving symptoms or medication side effects, or that it’s helping you wean from harsher prescription drugs). This shows your doctor that you are proactive about your health and that you use cannabis with intention and purpose. This is also an opportunity to prove that cannabis is making a measurable difference (and improvement) in your treatment and overall health. In reappropriating its proper name and narrative, there exists an opportunity for patients and providers, together, to change the misconception that cannabis is an illicit and addictive drug, and instead promote it as a broadly appropriate, effective, and reputable medicine. Ultimately, you’ll likely never know where your doctor stands on the matter unless you’re transparent and let him or her know where you do. When you make the decision to come clean with your doctor, he or she will be one of two things: either be ok with it, or not. This positive outcome will likely strengthen your patient-doctor relationship. 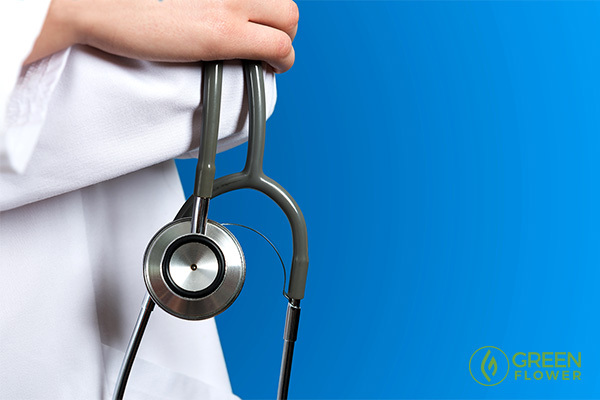 Your doctor will appreciate your openness and reciprocate your trust. He or she can then ensure that his or her ongoing treatment options for you will not negatively interact with your cannabis use and vice versa. In some cases you will find out that you know more than your doctor about medicating with cannabis. Right now this is overwhelmingly the case. Ask your doctor questions about cannabis anyway. They are experts in human anatomy and physiology, and will likely have enough insight to be helpful. Dialogues like this might additionally spark their curiosity, or better, inspire their personal pursuit of higher learning so that they can be a better doctor for you. This is already typical of most doctors when they encounter symptoms, medical problems, or medications they don’t know much about. For doctors, learning never ends. In other cases your doctor might surprise you by knowing more than you do about cannabis medicine, and, quite frankly, this is what you should expect out of such a learned group of people! Until federal prohibition in 1937, cannabis was a go-to treatment prescribed by many physicians. 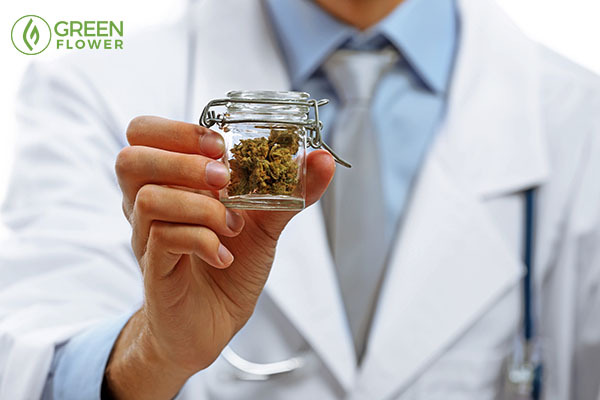 In response to legalization doctors are becoming increasingly knowledgeable about cannabis. For some, this knowledge is sparking a newfound passion for natural therapies, in which case your doctor may become an absolutely wonderful resource for you via their ability to counsel you on methods of use, dosing management, and (potentially) on other natural and synergistic therapies. Some doctors, while ok with your use, will still not participate in writing recommendations (in medical states) or feel comfortable directing your care in the use of cannabis. This is still a positive outcome, and many doctors will refer you to a cannabis specialist, should they know one. This less favorable outcome is what most patients fear. The harsh reality is that doctors can and do withdraw care, sometimes firing patients from their practices altogether for cannabis use. This is of particular concern for patients with chronic pain who are dependent on their narcotic medication regimens. This is not compassionate care and should not be condoned. Despite the overprescription of opioids for chronic pain control, suddenly stopping a patient’s narcotic medication is dangerous. Patients should be slowly weaned off of these medications in order to prevent serious, and sometimes life-threatening symptoms of withdrawal. Needless to say, cannabis is a great medicine to aid in this process. Find a cannabis specialist to oversee your care directly. Ask a cannabis specialist to talk to your primary doctor on your behalf, even if that means finding someone else to take care of you ultimately. In general, and where possible, see a doctor who meets YOUR standards and accepts you, your opinions, and your autonomy in making decisions for yourself. Health insurance and other legal considerations. Health insurers do not cover drugs unapproved by the FDA, and cannabis remains a Schedule I drug according to The Controlled Substance Act. As such, medical cannabis products, medical cannabis cards, and a doctor’s visit for the counsel on medicating with cannabis will not be covered by your health insurance. HIPAA guidelines do not expressly prohibit your health insurer or employer from reviewing your medical records, but you can rest assured that outside of standard billing and coding practices their perusal of your records is not typical. Discrimination on the basis of cannabis use is also unusual for an insurance company. In sum, it is highly recommended that you discuss your cannabis use with a doctor - whether that be your primary care physician or a cannabis specialist - especially when you’re aiming to treat a medical condition or replace prescription drugs. And also, arm yourself with knowledge - about your cannabis regimen, your rights as a cannabis user/patient, and your employer’s stance on cannabis - in order to not only optimize your cannabis routine, but to protect yourself as a cannabis patient as well. Many patients are reluctant to discuss cannabis as a treatment option with their physician. Now, get the doctor’s eye view as Harvard MD Jordan Tishler shares his insight from treating hundreds of patients with cannabis – from what it will and won’t treat, to why delivery modality is crucial, and how to start a cannabis regimen (and conversation with your doctor) to address your specific health issues.